Writer/ performer Yang-May Ooi dropped into the Out in South London studio at Resonance FM earlier this week to talk to Rosie Wilby about Bound Feet Blues, the show and the book. Bound Feet Blues may be about bound feet but it is also Yang-May’s coming out story – and Yang-May chats to Rosie about the metaphor of binding and restriction in the show and how it relates to her emerging lesbian identity. They also talk about friendship and falling in love… of course! You can also listen to the whole show via the Out in South London Listen Again page for 17 November 2015. Out In South London is a weekly LGBT radio show on Resonance 104.4FM that goes out live every Tuesday at 6.30pm. It is devised and presented by comedian Rosie Wilby and jointly produced by Rosie Wilby and Sabine Schereck. Out in South London started as a monthly show on South City Radio in Peckham in December 2008. Rosie was inspired by shows like Out This Week on Radio 5 Live in the 1990s, where she once worked as a trainee reporter. The show transferred to Resonance 104.4FM in late 2009. 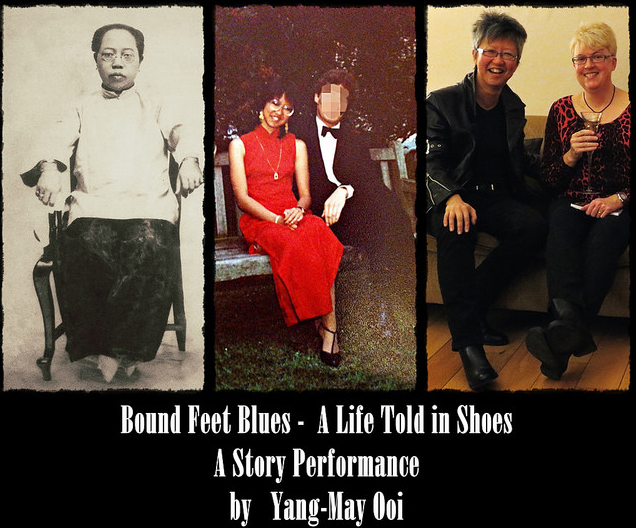 Yang-May Ooi, writer/ performer of Bound Feet Blues, talks about what LGBTQ stories – and esp lesbian stories – can teach the wold about the universal human experiences of love, courage and heroism. The male gaze has controlled how women look and behave for centuries. In ancient China, that view of women as decorative objects led to the brutal practice of footbinding that crippled Chinese women for a thousand years. Today, women in the West are still expected to be pleasing to men in how we dress and act. In celebration of National Coming Out Day, writer/ performer Yang-May Ooi looks at how coming out as lesbian can be a defiance against that objectifying gaze that is as much about personal empowerment as it is about sexual orientation…. “Every woman’s voice is a victory and our goal is to highlight the power of women coming together. No topic is off limits and at Zusterschap we are dedicated to creating a safe space for women. Zusterschap was founded March 24th, 2015 by Tara Costello and Katherine Hockley. To celebrate National Coming Out Day tomorrow, Sunday 11 Oct, writer/ performer Yang-May Ooi shares an extract from her memoir Bound Feet Blues – A Life Told in Shoes, the book that is inspired by her solo theatre piece of the same name. 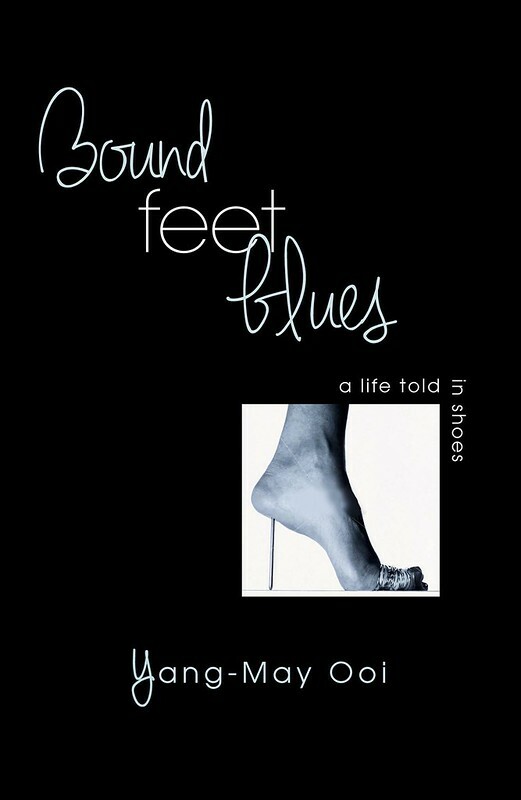 Bound Feet Blues is as much about Yang-May’s journey to discovering her sexual identity as it is the story of the women in her family. Coming out is a rite of passage. In the world of debutantes and high society, it is an ancient tradition going back generations. When a young woman comes of age, she is invited to a coming out ball to introduce her to society – and in the aristocratic classes in Britain, to present her to the monarch. It is her “debut” into the world as an adult – or, rather, as a fertile virgin of a marriagable age. This custom continues to this day among the elite not just in Britain but also, surprisingly, in the ideally classless societies of Australia and the United States. The coming out ball is the moment when high society gathers to view the future of their dynasties. Debutantes customarily wear white ball gowns, sometimes with long white Cinderella gloves and sometimes with tiaras or both. If you Google images of “debutante ball coming out”, you will see that the styles of the ball dresses have changed little since Victorian times and often the young women are indistinguishable from each other in their demure, beautiful uniforms. The eligible young bachelors gather round them in white tie and tails and suddenly, we are back in the world of Jane Austen and Downton Abbey and fairy tale princesses. Selfridges is creating a gender blended clothes shopping space so that you can select clothing that is not gender stereotyped. How cool is that! This news piques my interest because I’ve always been a tomboy. In Bound Feet Blues, I talk about wearing boy clothes and boy shoes. One of the themes of the show is gender roles and identity within a cultural expectation of what a woman should be like – and look like in the context of her feet and clothing. You can check out the Agender section in Selfridges website – or go to the store itself – to see how their clothes may or may not complement your personal style. From what I can see, the clothing seems generally shapeless and baggy so as to hide all curves or forms that might give an observer a clue to the wearer’s gender. 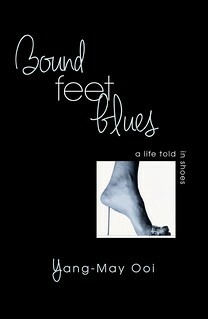 Bound Feet Blues is as much about my own personal coming out story as it is about the story of great-grandmother with bound feet. 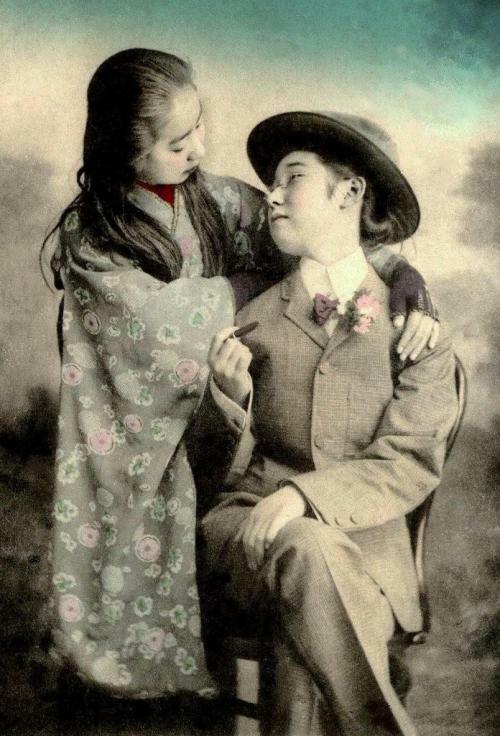 Footbinding in the show is a metaphor for the binding up of who we really are, of our natural selves, in order to fit into an social construct of what a woman should be. The story also explores how I used to be a tomboy and what that meant for me in terms of freedom vs constraint, power vs restriction, heartfelt love vs pretending to be someone I was not. For me, coming out was the ultimate act of unbinding and personal empowerment – signified by the freedom to wear whatever I choose, whether fully female or male attire or an androgynous combination of both…. 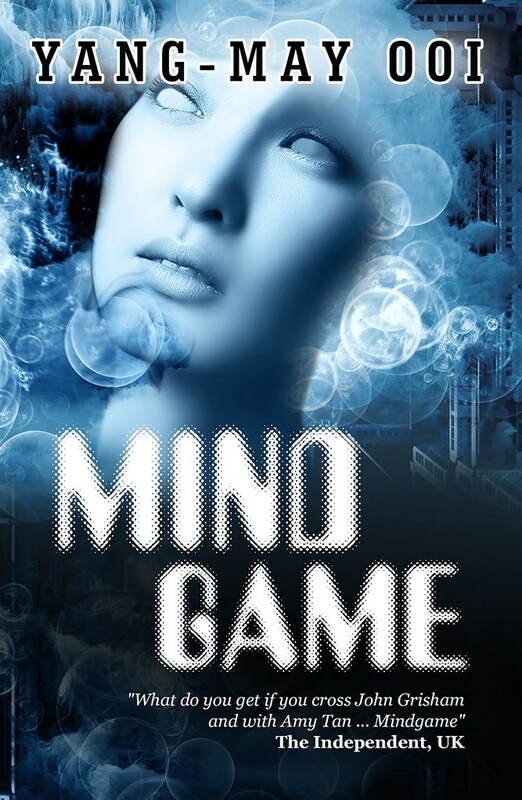 I am very excited to share with you the new cover for Mindgame, my second novel and the first – and only – Malaysian lesbian thriller! What do bound feet have in common with a lesbian thriller? My solo show Bound Feet Blues asks the question: how do we as individuals, and as women, live authentic lives true to ourselves within a dominant culture that seeks to control our bodies and our spirit? Foot binding in ancient China broke a woman’s body physically – but also broke her spirit over the course of the many years it would take to create the perfect tiny foot. What dominant cultural traditions in our modern era play a similar controlling role in who and what we can be?